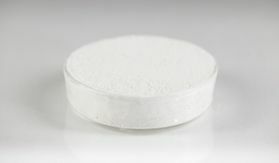 Ultra Low Permeability Bentonite Grout. 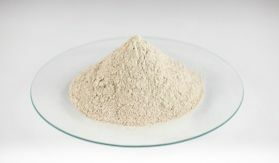 Much of our imports consist of 100 % sun-dried clays. Bentonite being desanded at National Grid site in London. Plants running full time, we are always up with demand. We pride ourselves on keeping a keen eye on all our processes. Company directors at a READIGROUT pour in Camden, London. Packed and ready to head to the supermarket shelves. 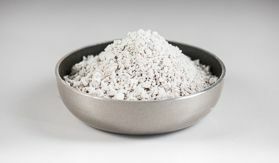 MKM has earned a solid reputation as one of the leading suppliers of bentonite, absorbent minerals and cat litter in the UK and Europe since commencing trading in 1989. We are a compact and versatile company which operates at the level of much larger companies. 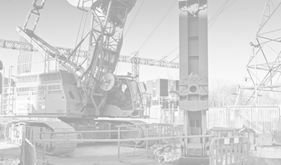 The Kentish Minerals division has supplied many high profile projects, starting with Jubilee Line in the 1990s, the Docklands Light Railway, and the Channel Tunnel Rail Link, which involved supplying high performance bentonite to international Civil Engineering and Tunnelling companies. A recent major contract involved supplying bentonite for sealing low-level Nuclear Waste Repositories. Our current involvement in Crossrail has entailed delivering bentonite and special grouts within strict delivery constraints in the London Area . In the Cat Litter business, Macromin Ltd supplies leading supermarkets both direct and through third parties. 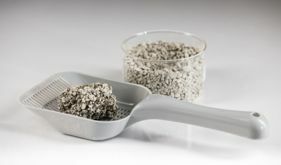 Wherever possible, we concentrate on sourcing sun-dried and recycled cat litter products which are eco-friendly. 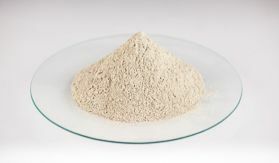 Additionally both Kentish Minerals and Macromin Ltd supply internationally, with a significant proportion of our business in Russia, a rapidly expanding market. All our performance products are sourced from quality assured manufacturers. We visit our suppliers regularly to ensure the best commercial terms as well as constant and reliable quality of supplies. 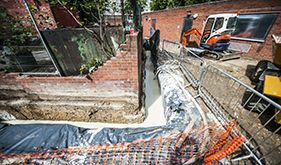 The client required an impermeable hard/soft slurry wall to be constructed to separate a site where new dwellings were to be constructed from possible below ground contamination from another site next door where a service station had stood for many years.